Braces allow for the addition of extra reinforcement to larger art canvas frames. 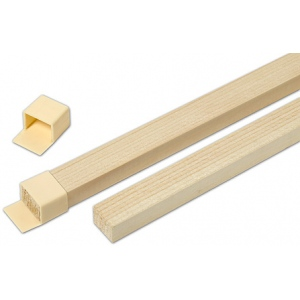 * Length cut to fit inside dimension of stretchers strips. * Fredrix cross braces are attached to the back groove of the stretcher bar. * Brackets allow you to secure cross-braces without cutting into the strips. * Patented cross-brace brackets may be removed while painting and replaced without distorting the frame.